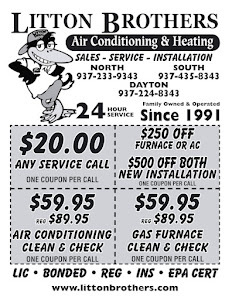 DON'T PAY FOR ADVERTISING, PAY FOR THE BEST HVAC SERVICE, PRODUCTS IN DAYTON! 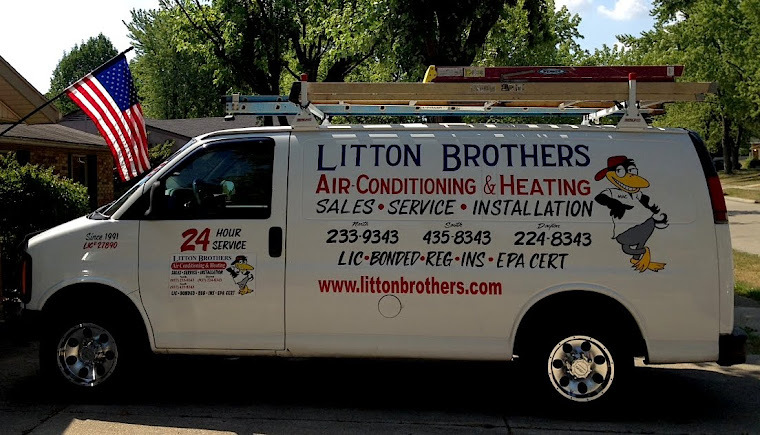 There is no better HVAC contractor in the Dayton area than Litton Brothers Air Conditioning & Heating! Unlike other companies who get on TV to tout their so-called "great rates," as well as other colorful gimmicks, Litton Brothers Air Conditioning & Heating simply relies on 26 years of expert service — and the best products on the market — to keep their customers happy (A-plus rating w/Better Business Bureau). Don't pay for advertising, pay for the best service and products around — at a truly "great rate." Oh, and that "great rate" is the same 24 hours a day, including weekends and holidays. Whether your project is residential or commercial, Litton Brothers is ready to serve you! And for your convenience, Litton Brothers accepts all major credit cards. For those in Dayton, please call 937-224-8343. In Huber Heights and areas north, please call 937-233-9343. For customers in Centerville, Kettering and areas south, please call 937-435-8343.